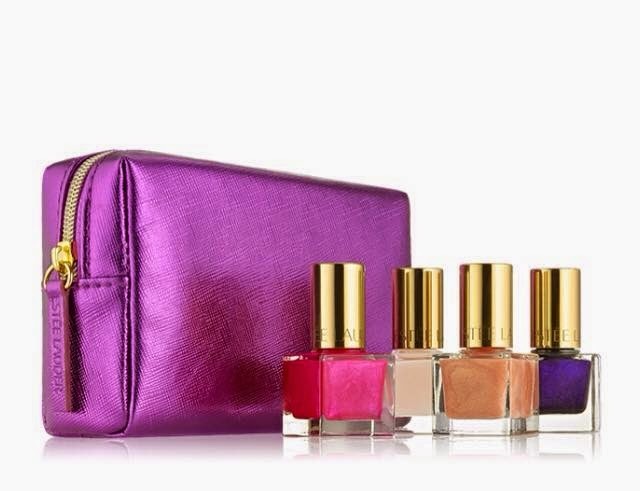 Create wonderful nails with these four brilliant colors. The perfect gift! A dream come true: all the makeup you need in a single limited edition set. This pretty pink purse will be the perfect ally in your handbag during the holidays! 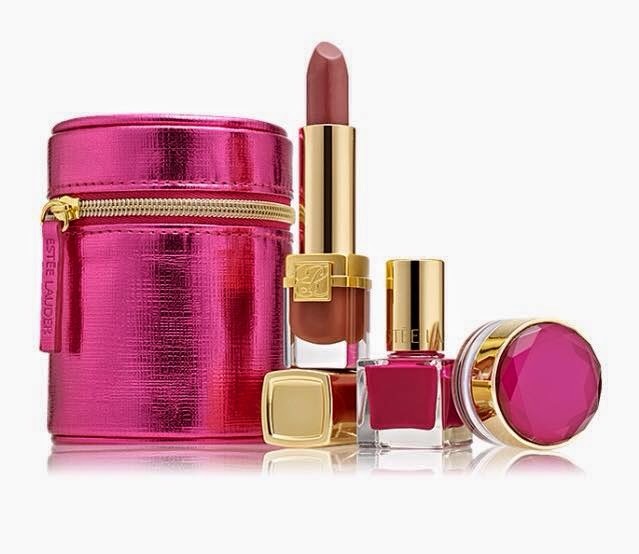 It contains a red Pure Color Longue Tenue en Rose Tea, a mini Pure Color nail polish in the shade Love Bite and a mini lip gloss in the shade Magnificent Mauve packaged in a beautiful jar decorated with a diamond. A perfect duo for tempting curly eyelashes and dreamed, desirable lips. This set contains:Sumptuous Infinite Daring Length + Volume Mascara (full-size) and Mini Pure Color Envy Sculpting Lipstick in 04 Envious. 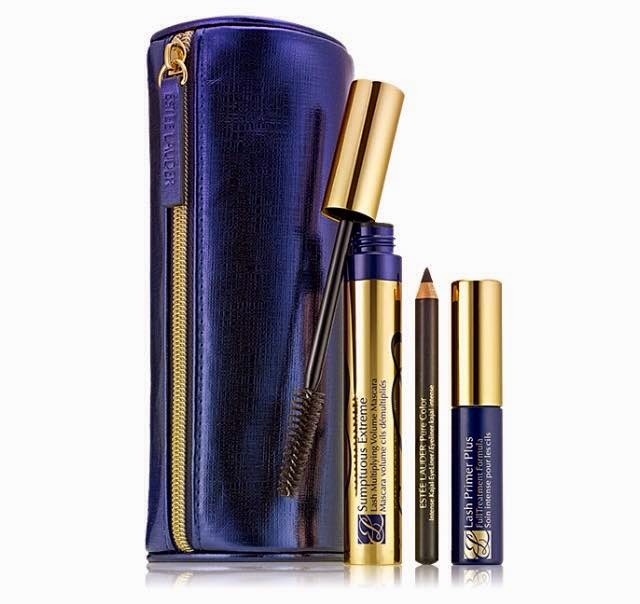 This set contains: Sumptuous Bold Volume ™ Lifting Mascara (full-size) and Mini Pure Color Envy Sculpting Lipstick in 16 Desirable. Get sensual perfect lips and refine your pout with four shades that highlight your lips, shape and hydrate. 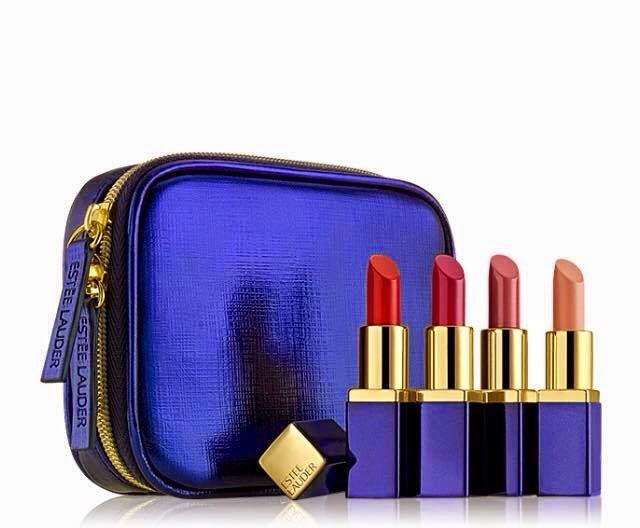 The perfect gift!The navy blue suitcase, exclusively designed by Estée Lauder, includes a deluxe miniature of Pure Color Lipstick Envy Sculpting in colors: Envious, Tumultuous Pink , Dynamic, Desirable. All of the products mentioned above might be or might not be available in your country region. 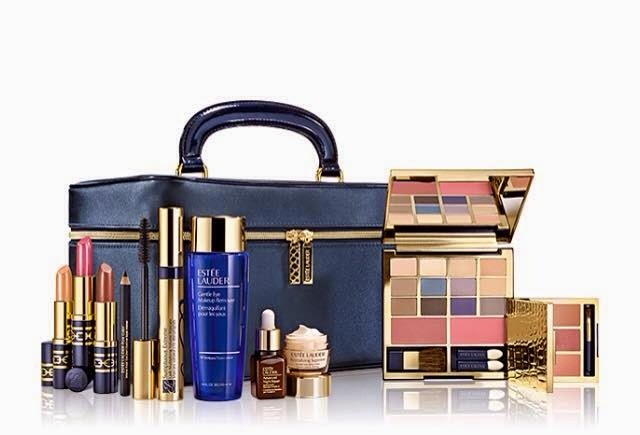 For more information over the products you can check www.esteelauder.com. Give and be gifted ! What would you like to find under your Christmas tree this year ?Think about it, are less than 40 days until then . If you liked this post please share it on social media with your friends! Da, si pe mine m-au hipnotizat ! Da, exact motivatie pentru work :))) valabil si pentru mine ! Si eu tot asta mi-am trecut pe lista, insa sa nu uiti ca sunt mini :)))). Pana la 1 Dec nu cred ca mai este ceva pe stoc.